Global Basecamp's trips to Africa are authentic travel experiences rated 5 stars out of 5 stars, based on 27 reviews collected by third-party review site Yotpo.com. Also, see our reviews on Google and Facebook. Egypt’s incredibly rich history, vibrant culture, natural and archaeological wonders have made it one of the most popular destinations in the world. Home to one of the most advanced civilizations in ancient history, Egypt is a living museum offering a hands-on introduction to the life and times of the Pharaohs with monuments including the Great Pyramids of Giza, the Sphinx and the Valley of the Kings. Global Basecamps is a specialized tour operator that provides unique Egypt tours with access to exclusive destinations within Egypt. **All of our tours can be customized to match your specific travel priorities and dates. Begin with time in Cairo to explore the nearby Pyramids of Giza, as well as the famous Cairo Museum. Then board your Nile River Cruise for the south of Egypt, stopping at important historic sites along the way. Travel through the ruins of ancient civilizations in Egypt and Jordan, including an overnight cruise on the Nile River, and an overnight train back to Cairo. The first step is to complete a form on the website and one of our travel specialist will start planning your perfect trip. Cairo is famous for its beautiful Islamic architecture and glittering modern high rises, but nearby this Egyptian metropolis are the artifacts of the ancient world: the majestic Pyramids of Giza and the Sphinx. Explorers will love discovering Egypt's rich ancient history by visiting the Step Pyramids, the Bent Pyramid, the Pyramids of Giza, the Sphinx, and the famous Cairo Egyptian Museum. Abu Simbel is the archetype of the hidden temple discovered under centuries of sand. Both inspirational to the capacity of human accomplishment, and mysterious as to how it could have been lost to history for so long, time spent here is time well spent for an aspiring Egyptologist. A far easier city to explore than Cairo, Alexandria is defined by buildings faded by time, Mediterranean heavily influenced by both Europe and Islam, and an undeniable charm. There is also a dramatic history buried under here, and glimpses of Alexandria's and Egypt's past can be found if you look closely enough. Greek nations, Roman senates, Arab dynasties and Egyptian pharoahs have all left their stamps on Egypt. Like a layer cake of history, Egypt's forgotten corners reveal hidden evidence of human civilzation dating back thousands of years. 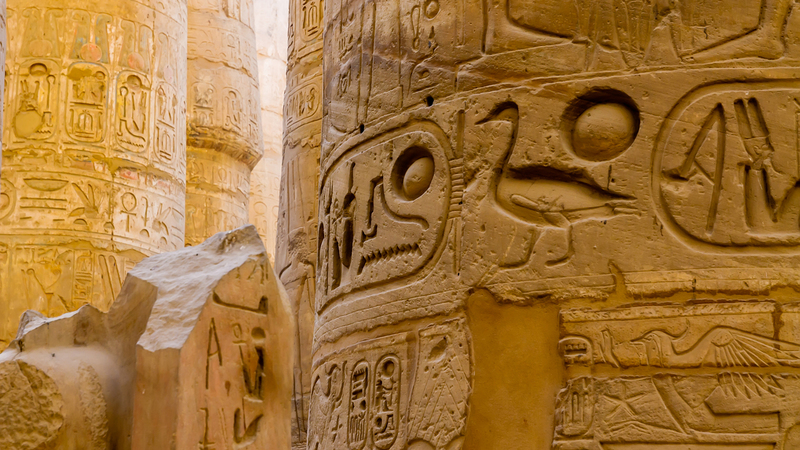 Luxor, Thebes, Aswan, Sinai and so many other locales call to the adventurous explorer.